Happy Orange Friday! 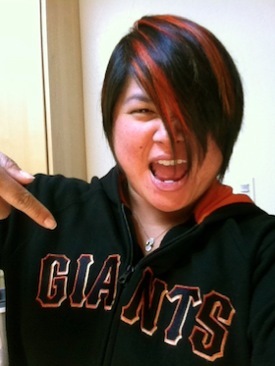 It’s the home opener for our San Francisco Giants today. Every Friday when the Giants are home, fans wear orange. 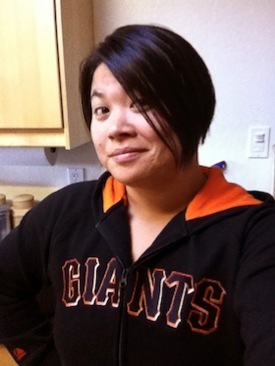 When the Giants won the World Series in 2010, we decided to wear orange EVERY Friday, whether they were home or away, and even when it wasn’t baseball season. Since it’s the first game the boys are playing at home, AND it’s Friday, I just had to do something special. 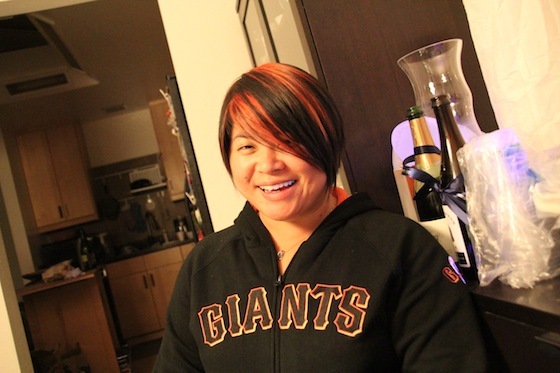 I’ve dyed orange streaks in my hair twice before – the first time was when The Giants won the World Series in 2010, and again at the beginning of the 2011 season. 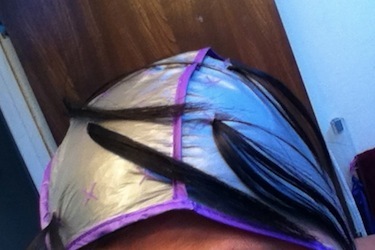 But each time, I used a “copper” color that was meant for dark hair. Although of course red or “copper” wouldn’t exactly be a naturally occurring color on me, it was still more natural and it at least was a color that could exist naturally on someone’s head. Well this season Buster‘s back and it’s gonna be an awesome season. And I wanted to celebrate by making sure anyone who saw my hair this time would know that the streaks weren’t just supposed to be copper, and that they weren’t just a botched bleach job. 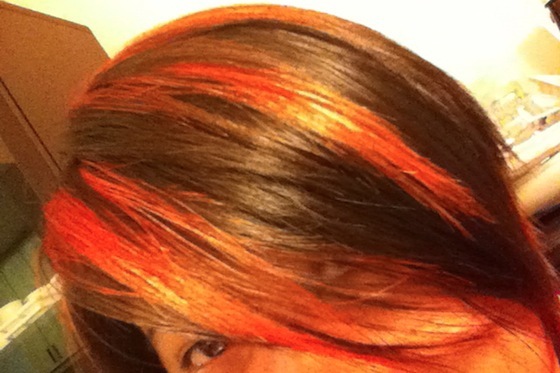 Today I double-processed my hair and streaked it “Napalm Orange“. 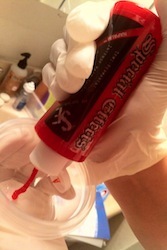 I used a chunking cap since I was doing the bleach by myself (and wanted large sections to be orange) – caps are pretty foolproof – I always think they’re hilarious – I feel like I’m in Mad Max Beyond Thunderdome. 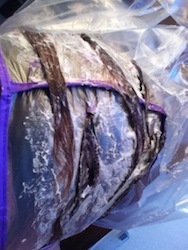 I used a Clairol Frost & Tip package for the first process, bleaching my hair – I didn’t use the regular highlighting cap that comes with that kit since I was using the chunking cap. 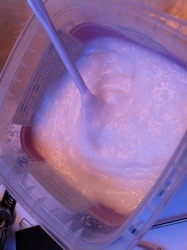 There is a chunking bleach kit from L’Oreal available too, but I had this one from a while ago. Here goes the bleach! We’re going from dark brown … all the way to blonde! Woah! Tada!!! Napalm Orange streaks, to celebrate our home opener. Let the baseball season begin! … and did I mention it GLOWS under BLACKLIGHT?!!? WHAT??!? Seriously. How awesome is that?! 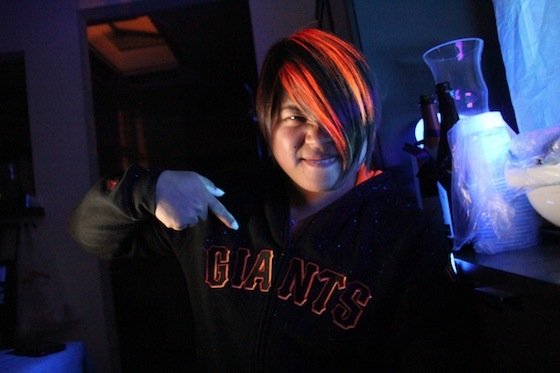 LET’S GO, GIANTS!! !